Animal Behavior Associates, Inc. of Denver, Colorado. ABA provides private consulting and online education to pet owners and pet professionals to help them understand, manage, and modify the behavior of companion animals. ABA, Inc. is co-owned by Dr. Suzanne Hetts and Dr. Dan Estep. Both are certified by the Animal Behavior Society as Applied Animal Behaviorists. Drs. 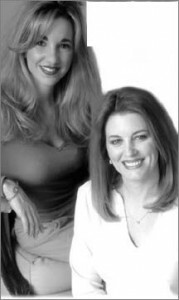 Hetts and Estep are award winning speakers, educators, and authors and have helped thousands of pet owners improve their pets’ behavior and their relationships with them. For over 15 years Dan and Suzanne have taught classes through local hospitals to pet parents who are soon to have a baby. From these classes they’ve learned what expectant parents want and need to help their pets adjust to the new baby. The result of all that experience is Preparing Fido®, the most comprehensive home-study program for helping pets adjust to the arrival of a new baby. In addition to their work with expectant parents, Suzanne and Dan consult with major corporations in the pet industry, are internationally recognized experts in animal behavior, and have lectured on five continents to pet owners and pet professionals. Drs. Estep and Hetts work with veterinarians, dog trainers, humane societies, and personal injury attorneys to help them understand and work with animal issues. Their publications and videos are used nationwide in training programs for pet professionals and pet owners. After close to 30 years of helping people resolve their pets’ behavior problems, they now concentrate on providing online behavior education products and services through their websites. 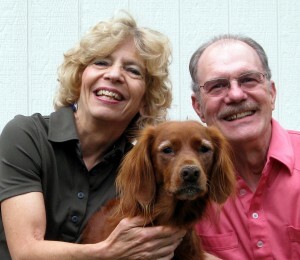 Dan and Suzanne share their home with diva-dog Irish setter Coral. Preparing Fido® Baby Sounds is the creation of Health Educator Dr. Shawn Hrncir and her friend Lisa Wood Ruggles. The inspiration for Preparing Fido came when Lisa was faced with the decision about how best to introduce her new baby to her ‘first baby’ – her dog Bailey. The two pet and baby lovers put together their skills and knowledge and created the original program of baby sounds for training pets! Animal Behavior Associates acquired the Preparing Fido® Baby Sounds business from Dr. Hrncir and Ms. Ruggles in 2012.